Which States Have Had the Most Widespread Flu Problem? #Infographic ~ Visualistan '+g+"
It's flu season. The Centers for Disease Control and Prevention (CDC) flu map data has reported that if you're living in California, Minnesota, or Maryland, you may be at a much higher risk of coming down with the flu. This infographic from TitlePro Loans takes a look at the number of flu cases by state across the country, and shows that California has been hit the hardest since 2015 with over 26,000 instances of the illness. 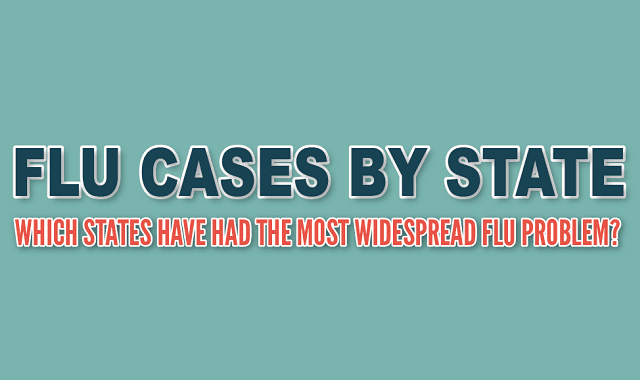 It's important to remember that these are reported cases, as many people just suffer through the flu at home. Since 2015, Arkansas has had the least amount of reported cases with less than 500, but when it comes to flu, no state is safe. One interesting case on this infographic would be New Hampshire, where the State saw close to 1,000 cases of the flu between 2015 and 2016, but zero had been reported when this infographic was made.